Harbor Seal pup Uno was back at Alki for a rest on Cove 3 beach today. 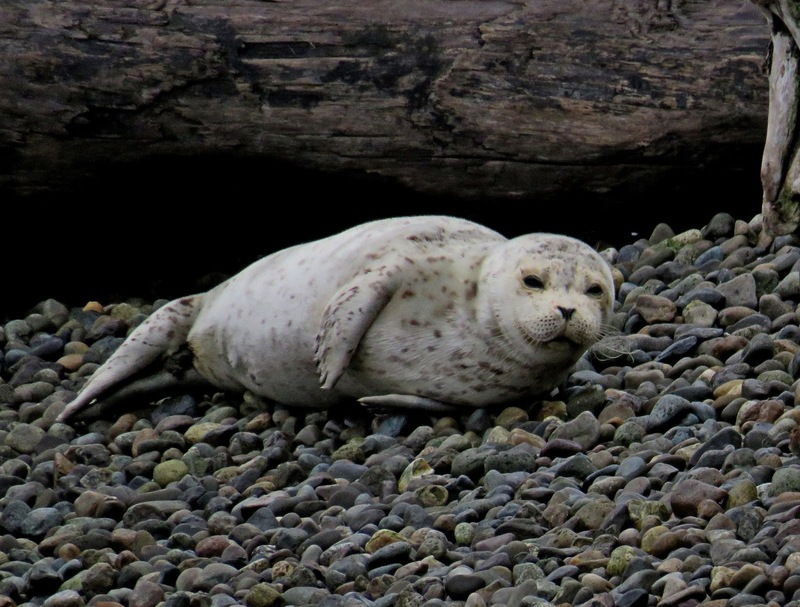 Uno seems healthy and is spending about the same amount of time on the beach each day. This is 7 days in the past 2 weeks that Uno has been monitored by Seal Sitters at Alki. 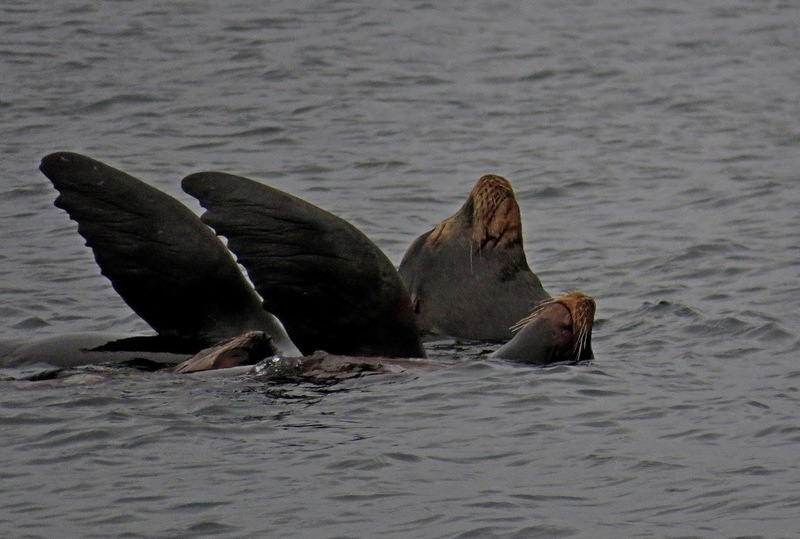 In addition to Uno a group of 5 California Sea Lions rested in the water a short distance from Cove 1 shore. Usually they rest of the large mooring buoys off shore but a tug and barge chased them into the water while tying up to the buoy. 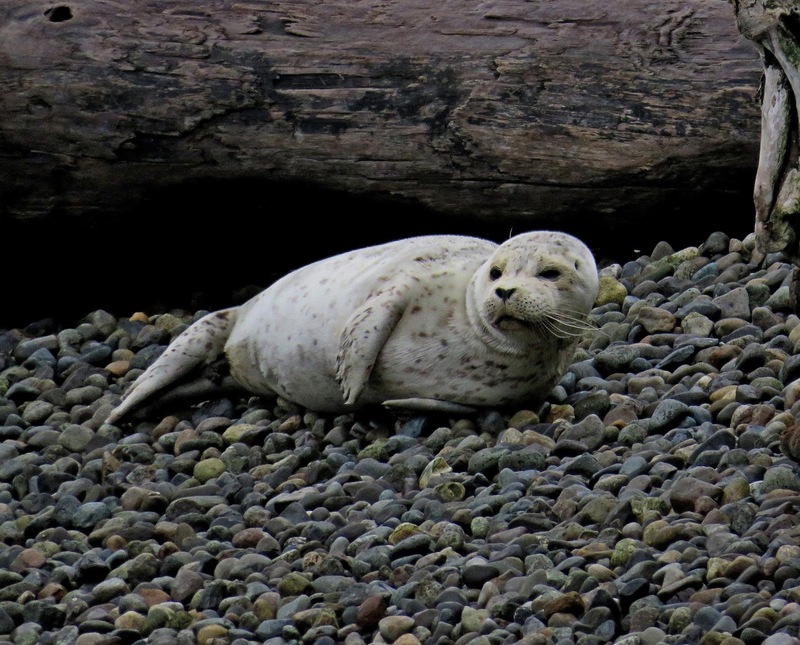 Flippers raised out of the water is for thermoregulation as the flippers lose less heat in air then in the water...they can also absorb heat from the sun. 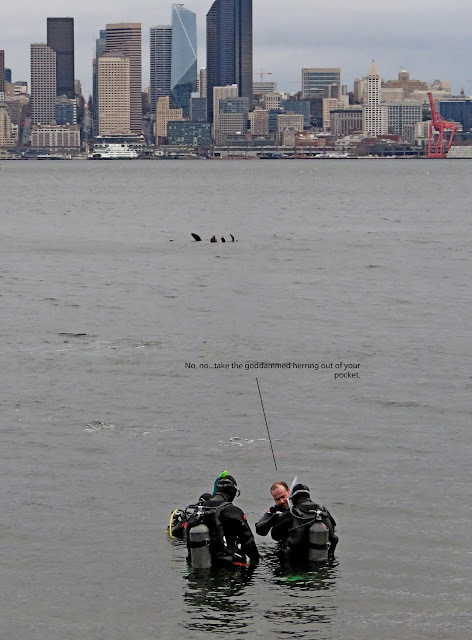 Lots of divers were in the area and the sea lions moved off shortly after the divers went in the water. 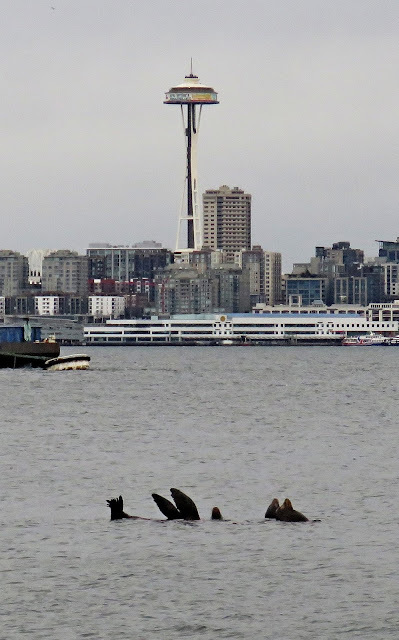 Once the tug activity ceased the sea lions were back on the buoy. 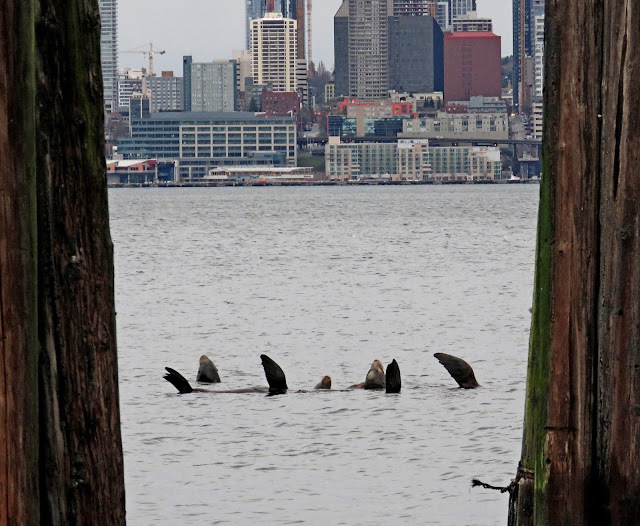 A few sea lions remained on the barge during the entire operation, undisturbed by all the activity.